They are not anything serious or life threatening, but can be annoying and affect the flow of your daily routine. Read on for some tips on how to relieve and prevent everyday ailments by practising a few simple yoga postures. Since stuffy noses and sinuses are caused by mucus build up in the nasal passages, simple breathing exercises such as Nadi Shodhana (Alternate Nostril Breathing) and Kapalabathi (Skull Shining Breath) can help to clear and balance blocked airways by forcing out unwanted mucus. We also know that in order build up a good defence against infections, the immune system needs to be strong and healthy. If you are a regular yoga practitioner, one way to do that is to perform asanas in a slow and relaxed manner, incorporating deep and smooth breaths. This helps to relax the nervous system and boost the immune system. Another way is to perform yoga postures that stimulate the thymus gland, which is responsible for the immune system. Because this gland is located underneath the top breast bone, it is extremely beneficial to perform poses that focus on opening up this area, such as Ustrasana (Camel Pose), Matsyasana (Fish Pose), Dhanurasana (Bow Pose) and Navasana (Boat Pose). Restorative yoga helps alleviate the pain and misery of being struck by chronic migraine or headache. Restorative yoga involves doing postures with props (e.g. blocks, straps, blankets, bolsters, chairs) that provide adequate support to the body so that the practitioner relaxes and deepens into the pose. This leads to a calm and balanced mind and thus relieves the stress-related condition. Follow this link for some examples of how to perform restorative poses safely. It is important to note that inverted poses such as Sirasana (Headstand) and Salamba Sarvangasana (Shoulderstand) require raising the heart above the head and forces the blood to rush upwards. 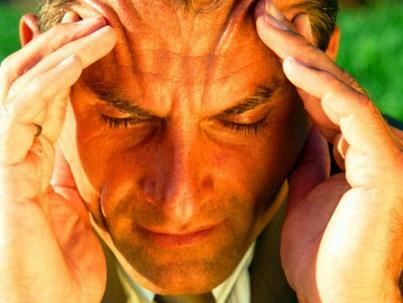 These poses should be avoided during migraines and headaches because they will only worsen the pain. Every woman fears the days of the dreaded menstrual cramp. In some severe cases, the victim ends up immobilized and curled up in bed for the entire day. Yoga asanas can help ease the discomfort of the cramps and also relieve lower back pain which is common during that time of the month. Forward bending postures such as Janu Sirasana (Head to Knee Forward Bend) and Paschimottanasana (Seated Forward Bend) are calming poses which compress the lower abdominals and pelvis to aid cramps and heavy bleeding. Doing several sets of Marjariasana (Cat Pose) also helps to increase the flexibility of the spine and alleviates menstrual discomforts. However, inversions should not be performed as the natural blood flow of the menses will be obstructed and may cause imbalances to the menstrual cycle. 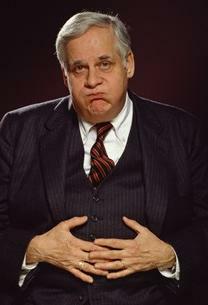 Constipation and digestion problems go hand in hand. If the digestive system is disturbed, food will not be able to be broken down completely, and this leads to constipation. Here are some yoga poses that can be performed whenever your stomach and eliminative organs are not in a cooperative mood. Doing Vajrasana (Thunderbolt Pose) for 5-10 minutes after meals provides great aid to digestive issues by expelling excess wind in the belly as well as stimulates the kidneys, spleen, gall bladder and stomach. Bowel movement can be improved by doing abdominal twists and stretches such as Trikonasana (Triangle Pose), Halasana (Plow Pose) and Ardha Matsyendrasana (Half Lord of the Fish Pose). Diet also plays a vital role in ensuring a healthy digestive system and eliminative track. Always drink plenty of water, eat light meals consisting of mostly fruits and vegetables, and stay away from food that is overly oily or spicy. Don’t wait for the pain to plague your life. By maintaining a healthy diet with simple but regular yoga practice, you will soon experience higher resilience towards these common ailments. Yeah, Yoga is for everything!! Very interesting: Yoga for beautiful hair! Didnt know Yoga can do our hair good too! 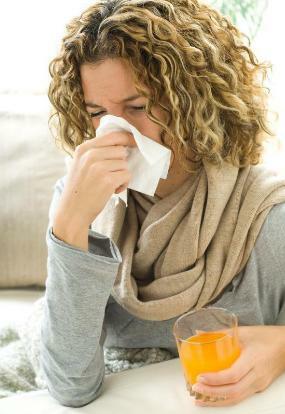 The usual remedy for common cold is just lots of water, fruit juice and also vitamin-C tablets.~~. i would just take in some lots of fruit juices to healp ease indigestion’*.